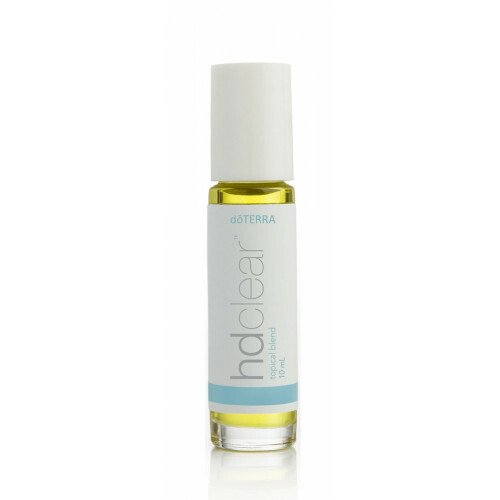 HD Clear Topical Blend is an important part of the HD Clear system. Formulated with Black Cumin Seed Oil and CPTG® essential oils, this potent formula can be applied to targeted areas on the face and body, and makes a perfect spot treatment. HD Clear improves troubled skin by controlling overactive sebaceous glands, improving skin texture, soothing irritated skin, and assisting in cell renewal. The essential oils in HD Clear are not only used for their therapeutic properties, they are also soluble through lipids in the skin, allowing for perfect absorption and effectiveness. HD Clear Topical Blend promotes a clear, smooth complexion for skin of all ages.